Woodcocks Haworth and Nuttall has promoted two talented young lawyers to associates as part of the firm’s strategic growth programme. 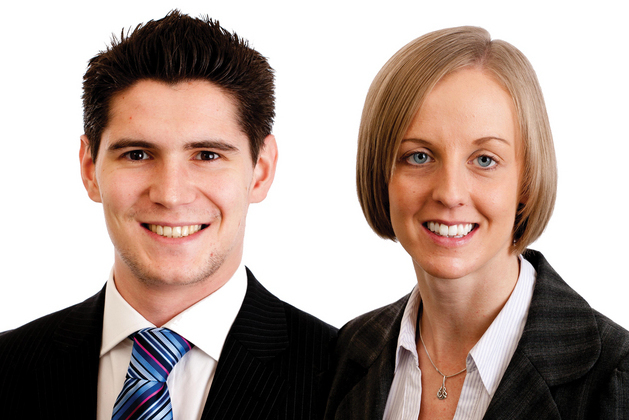 Sara Beaumont, 29 and Daniel Long, 27 have been promoted after demonstrating sharp technical skills, handling major cases, and developing new service lines for the firm, which they will lead going forward. Sara, has handled a number of high value contract disputes, contentious intellectual property matters and insolvency cases after joining the firm in 2006 as a trainee and qualifying as a solicitor in 2008. Her role involves heading up a new debt recovery service that will significantly boost SMEs’ cash flow by helping firms to get paid more quickly. Devised and developed by Sara, WHN Debt Recovery will offer clients an audit and fixed fee service for non-disputed debt. This will help scores of businesses to manage their credit control systems more efficiently and profitably. After qualifying as a solicitor in 2011, Daniel has acquired significant experience dealing with a wide array of commercial property issues. He has played a pivotal role in enabling landlords to obtain substantial revenue owed to them, boosting cash flow – and helping to deliver greater success for client businesses. With a consummate understanding of what commercial property clients need and an in-depth knowledge of the economy, Daniel has set up a new commercial team – Commercial Property Dispute Resolution, which he will lead and develop as a major service line. Commenting on the appointments, Senior Partner and Head of Commercial Dispute Resolution, David McCann said: “Sara and Daniel were given the task of developing new areas of work and both have delivered fantastic results that will help the firm to broaden and strengthen its service offer to our clients.